Dolce & Gabbana’s runway drones have nothing on these droid “models” in Saudi Arabia. 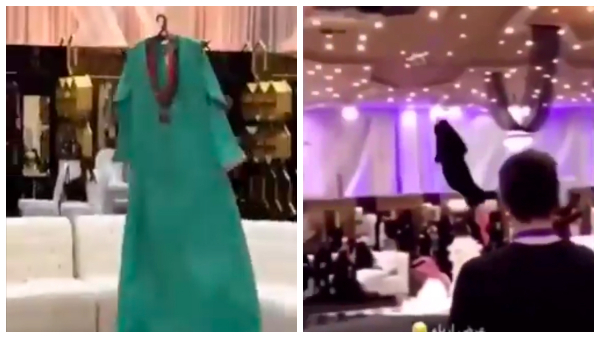 A fashion show hosted by a member from one of the country’s most prominent families has been making news on social media for sending flying devices down a runway to model clothes. The event’s organizers sought to celebrate Saudi Arabia’s technological advancements, hence the decision to use this concept. It also coincided with the month of Ramadan, when modesty is duly observed. As high-tech as it might seem, the show has been teased for hiring “ghosts” instead of humans.